No Arata this week but Chihaya is just as good. Actually, she’s still the best. Partly because she strives to be the best of the best. Whereas the rest of the Mizusawa team were put off by her declaration to be ichiban, she demonstrates the necessary ambition of a champion. I was just lamenting last week that I ran out of space but Chihayafuru delivers in building upon the theme from the previous episode thereby allowing me to continue my discourse. 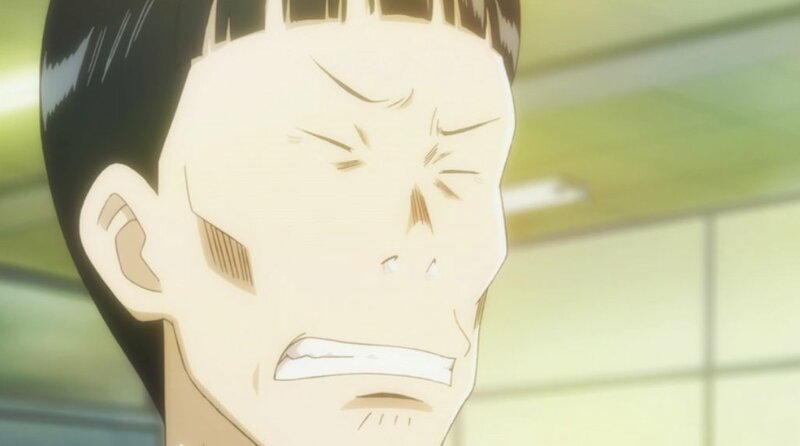 In fact, I will refer back to something Tsubouchi-san said, “Karuta isn’t fun. It’s the act of trying your hardest that is fun.” This statement captures the entire essence in the drive to become the best. 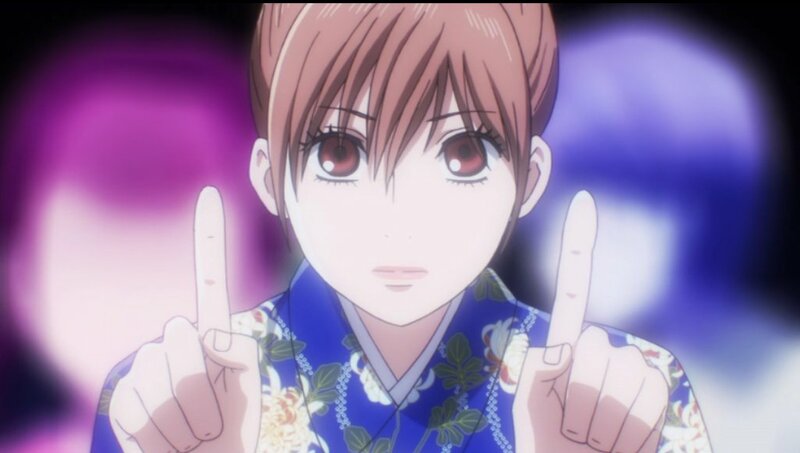 Chihaya shocked everyone when it became obvious that she is imitating the dominating weapons of the Queen and Master. It’s unthinkable but so was Federer excelling on all court surfaces on his way to winning seventeen Grand Slams. The astounding discipline to win again and again only to get back to work after each celebration certainly differentiates the best. However, it was Retro-kun who stole the episode here with his laudable polemic on what it means to be number one. Defying his President’s orders, he matched the players by ability instead of taking advantage of the discrepancy to cinch three wins for first place. This is in stark contrast to the false champions of our day such as Lance Armstrong. While I don’t consider Hokuo’s strategy as cheating, Retro-kun embodies the sportsmanship of a pure champion. Once again, this gesture is largely unseen today as displayed by Belichick’s actions. The head coach of the winningest football team in recent history have been known to walk off the field before clock expires, to make physical contact with game officials and to refuse post game interview this past season. I remember my brother and friends hiding written formulas on their forearms with shirt sleeves for exams. I refrained. They all received better grades. In a milieu full of cheating, the price of honesty becomes ever steeper. It’s almost to the point where one has to cheat in order to remain competitive. It’s almost the reality that success is accompanied by a footnote. Then there’s Chihayafuru and this. Knute Rockne type of coach is Harada-sensei? Gipper was a baseball player, like Chihaya was a track athlete. What Retro-kun doesn’t realize is that deciding the order is already a huge part of, or the core of the game. Captain is already fighting to win before the actual games starts, yes like playing chess as a team. I don’t think depicting captain as lazy person was fair in the anime. Retro-kun’s action was like Hex defying Bookman. Order is certainly a strategy in karuta. I like the sentiment of this episode in deciding a fair champion.